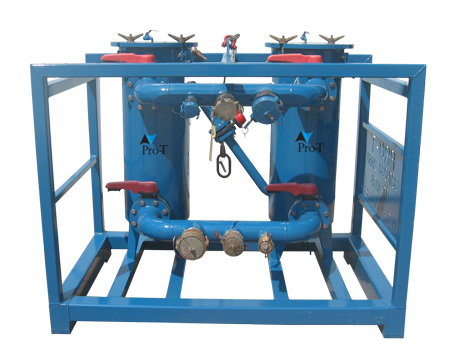 Cartridge filter system used as a polishing filter for fine filtration of fluids from 2 Micron absolute to 50 Micron nominal. This system should be used in applications where low solid loadings are expected in the process fluid. Cartridge units are best used on light completion brines. We continually deliver peace-of-mind to our customers through service, professionalism, safety, reliability and performance. Rely on Pro-T for your next completions project.